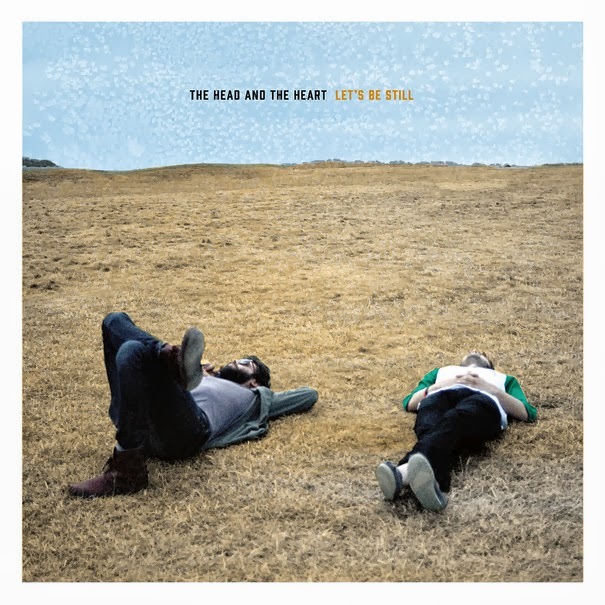 Atlas and the Anchor: The Head And The Heart - "Let's Be Still"
Seattle folk-pop band The Head And The Heart returns this week with their highly-anticipated sophomore album, Let’s Be Still, released by Sub Pop. Building off of the momentum and the success of their breakout self-titled debut, the new album was mixed by Peter Katis (The National, Interpol) and shows the band branching out to include more electric guitars and dreamy synths to their organic, harmony-rich folk palette to great effect. Lyrically, the songs relate to the sudden shock of fame, the good and the bad and how it has affected their relationships. The familiar tones of pretty piano and violin melodies along with their distinct, close-knit three-part harmonies open the album on “Homecoming Heroes”. Next, the emotional and thought-provoking “Another Story” was written after the tragic Sandy Hook school shooting and is bolstered by inspiring lines like, “the sun still rises even through the rain”. Violinist and vocalist Charity Rose Thielen takes the lead on the short, lilting and dreamy interlude, “Springtime” which leads into the bouncy, synth-led standout “Summertime”. It is a testament to their excellent songwriting that the newfound synths do not sound out of place. Cyclical guitars, soaring strings and haunting vocal melodies highlight the heartfelt, “Josh McBride”. The energetic lead single, “Shake” is filled with infectious handclaps and a fun, howl-along hook for another standout moment. “Cruel” follows with wispy pedal steel and swaying violins for a laid-back Country vibe. The title track, “Let’s Be Still” features a prominent bass line, swells of vintage organ and showcases the three vocalists with each taking a verse and then coming together in glorious harmony on the indelible chorus. The band pays tribute to their closest loved ones in the touching “My Friends” and “10,000 Weight In Gold” is filled with about that many catchy melodies. Another standout, “Fire/Fear” melds a melodic electric guitar run with ringing piano chords and a bittersweet sentiment. Removing all of the ornamentation from the arrangement, the simple acoustic guitar and harmonica of “Those Days Are Numbered” is all that is needed to back up Charity’s gorgeous vocals on the song. The album closes out with the fluttering strings, flickering banjo and shuffling rhythm of “Gone”, which was originally written during sessions for their debut but found its ascending melody and anthemic arrangement only after years of touring and playing the song live. 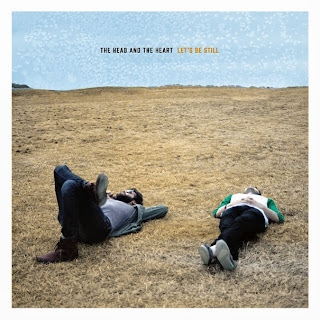 With Let’s Be Still, amid heavy expectations, The Head And The Heart have created an sophomore-slump busting second album that shows the experience of a band that has grown closer together after years on the road.